Home » Featured » How to find cheap flights to israel? How to find cheap flights to israel? 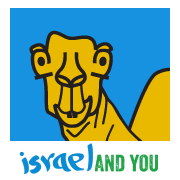 Looking for cheap flights to Israel? Good choice! This Mediterranean diamond seems to be sizzling these days and that’s truly justified. Tel aviv is one of the best cities in the world and Jerusalem is Jerusalem… nothing like it. If you are stuck in the -30 C of Europe and looking for a break from this arctic age, Israel’s ‘winter’ is the thing for you. Plus 18 Celcius and full sun in March can treat you well enough. But how to find a cheap flight? Good news! Buying tickets 2-3 months ahead makes the prices drop by up to 50%. If you do so, make sure to buy an option to opt out in case you want to cancel the flight. Cheap tickets are easy buy, but sometimes very hard to cancel. Israel is fashionably toured in summer time, which makes the winter less popular and therefor cheaper. Though israel’s summer is great in a lot of ways, for some reason, not a lot of tourists are aware of the advantages of the other seasons. Winter in Israel for example. as you will find out, is not the winter you know from home. Unless you are from another super warm country, Israel’s winter resembles something that you may know as spring. Actually, for some activities like desert hiking (both Judean Desert and the wide Negev) this is the best time of the year. For other activities, like hiking the north, it is also green and great. So when you plan the next trip you should consider winter, it is still believed to be low season and prices are down accordingly. In this new service that El Al offers flights from these destinations to Tel-aviv and back: Cyprus, Prague, Kiev, Budapest and most fashionably: Berlin. The prices vary and start from $69 for person with an average luggage. As all other low cost airlines, luggage is additionally cost and so are the food on board. In Israel, the El-Al brand is known to be reliable and trust-worthy. Time will tell if this daughter brand will live to the expectations. Oh yes, and a friendly warning: If the entire plain starts clapping hands and singing during e a successful landing, worry not, it is a local old habit. Yes, after years of waiting and some legal complications, Easy Jet is in Israel, too. 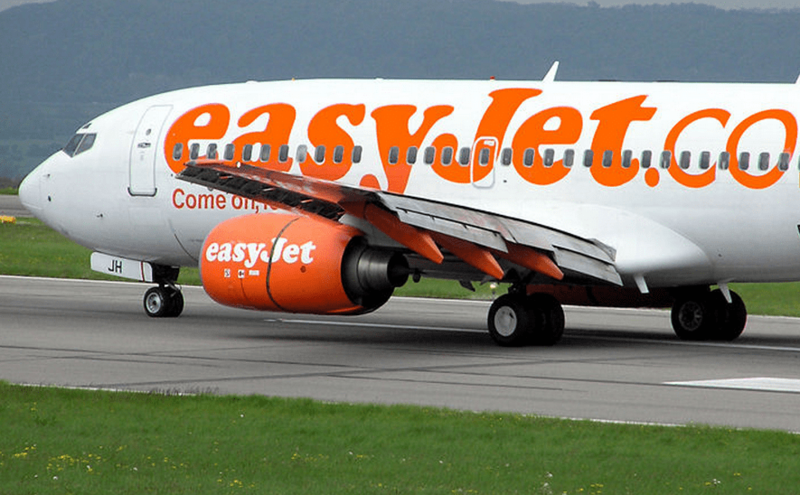 Besides being known enough for the low cost services, Easy Jet has one major advantage and that is destinations. A search in the website shows that Easy Jet offer flights from Basel, France, Norway and Geneva. Almost everywhere else Easy Jet is in, and that’s a lot. A nice little thing they have in their old fashion website is a feature that shows you what people are buying on line as you search for flights. Don’t miss! The Turkish airline is a major competitor and offers cheap flights to and from Israel mostly through a connection flight in Istanbul. Being a European line (unlike UP) it also has the advantage of multiple destinations in the EU. Also, it also has a pretty easy to understand website, which is a rare thing in the low-cost business. We like hipmunk.com and skyscanner.com as they have nice features that help planing and searching for a good flight in time. 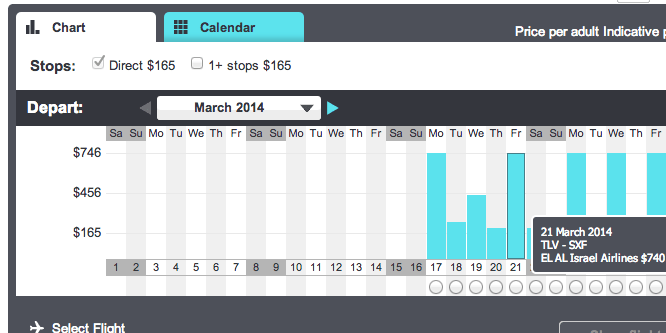 Hipmunk’s chipmunk promises to filter the flights by the agony. Oh jo! the skyscanner has a really cool option, to filter searches by a whole month, for those of you who don’t really care when to go up. Read about tips and recommendations for a trip in israel, or contact us for any other help you might need. Le’hitraot! Big up for this one, i have to agree. last travel i did from berlin was with them, and it did feel a little bit better than the regular pegasus flights. though i am not sure the prices can compete, oder…?